As artists we are inherently programmed to love our craft. We blog, we code, we start weekend projects and we tell ourselves stories like - If you build it they will come. The 2014 figures published by NetCraft don't seem to support the - if you build it they will come - hypothesis. The numbers are discouraging - demotivating even. 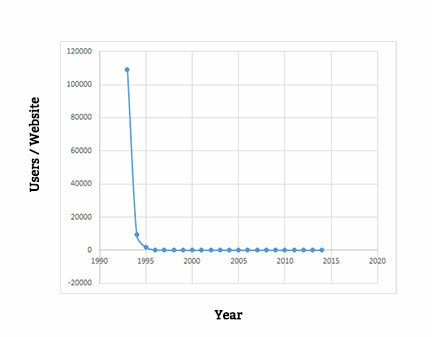 If you go by averages and don't believe in the dream of the outlier your chances of building anything that gets any attention by a considerable number of users were done and dusted by 1998, which is when we went to each site having less than 100 users. 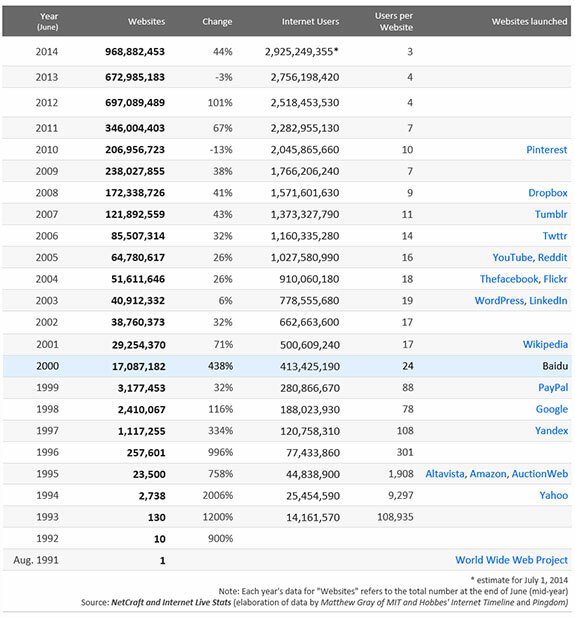 As of 2014 we are at a depressing number of 3 users per website. Assuming you have an average of 3 users and half of them drop out within seconds of hitting your website, you're left with 1.5 users. But then of course you can't have half a user so let's round that down and you're left with ---- 1 user. There are two ways to look at this data. The grumpy pessimist in you can look at the data and get depressed. The dumb optimist in you can continue to blissfully dream that some day you will build your own FaceBook. But the artist in you probably knows that 1 visitor. The only visitor who will really use and benefit first from your product --- You. And so the next time you pick up a project, either have a bunch of paying customers ready or build something You yourself would love to use for an extended period of time. After all, in most cases, particularly when it comes to innovative products and side projects that you might be working on, You are Your User.